Questions about Kichler Lighting 45217NI? 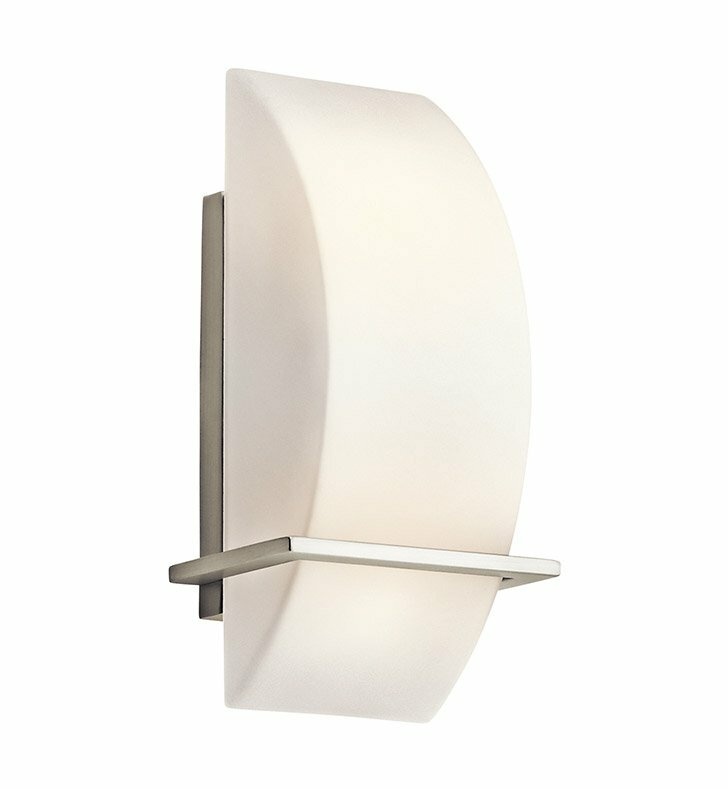 This 2 light wall sconce from the Crescent View Collection is a work of modern art. Its simple straight lines, sleek Brushed Nickel Finish and bold geometric shapes are contrasted by the gently curved Opal-Etched Glass shade. This streamlined, no-fuss design exemplifies contemporary styling to create a cool, clean look that's also calm and inviting. Dimensions: H 12" x W 5 3/4"